Have you ever tried to sleep in vain, after a long day at work? 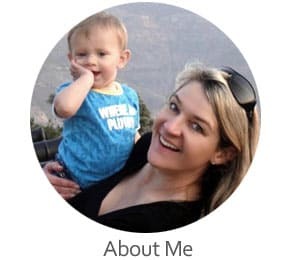 Indeed, tossing and turning all night before your alarm clock goes off, can compromise your productivity, moods, as well as your overall quality of your life. Apart from anxiety and stress, poor indoor air quality due to molds, pollution, and odors is known to make it difficult to fall asleep. Thankfully, you can resolve this problem by filling up your bedroom with flowers that are known to have a unique calming effect. After all, numerous studies have shown that spending a few hours in nature helps to lower stress levels, so why not bring natures best plants into your indoor living space. 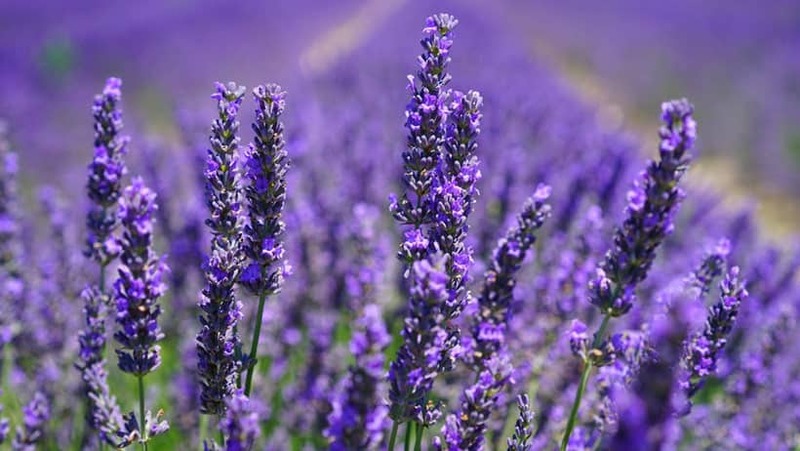 Lavender is best known for its unique scent. Research studies show that the scent can reduce stress and anxiety levels, lower blood pressure, as well as moderate heart rate. In a recent study, the scent helped calm down crying babies and induced deep sleep. 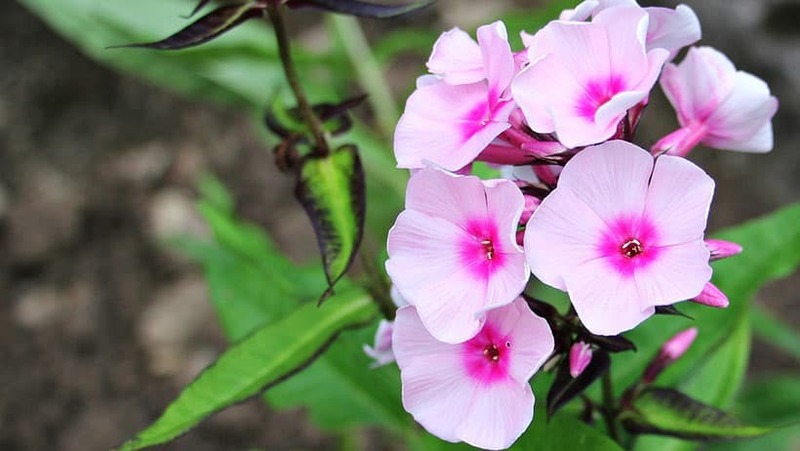 In women, this plant not only helps improve sleep but also decreases rapid eye movement. Why not cuddle up on your most comfortable mattress as you drift off into dreamland. As mentioned earlier, poor indoor air quality can make it difficult for you to fall asleep. 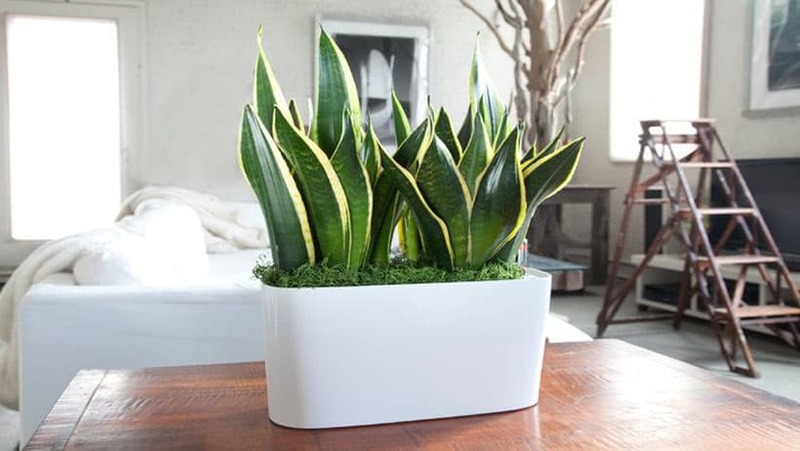 Snake plant can help you resolve this problem by purifying indoor air. It releases oxygen and absorbs carbon dioxide from the atmosphere. In addition, by using its natural biological filtering capabilities, it can reduce the concentration of common household toxins such as benzene, formaldehyde, and trichloroethylene from the air. Jasmine is one of the highly valued exotic plants due to the soothing and gentle effect it has on the mind and body. 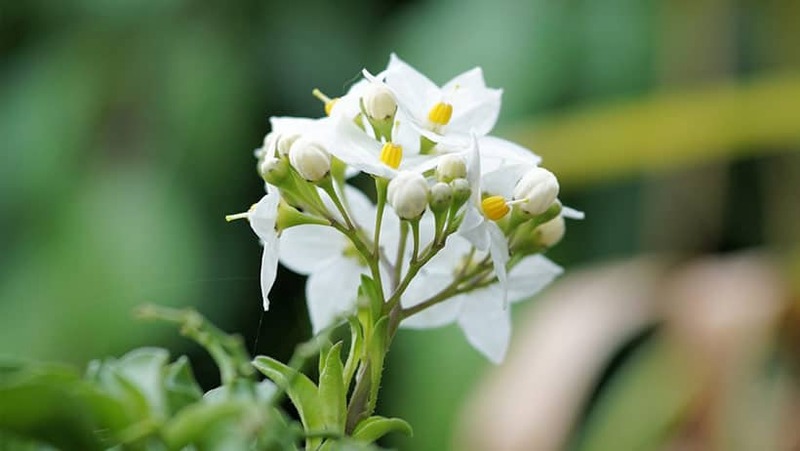 According to a study that was conducted by Wheeling Jesuit University, Jasmine can help you sleep better by reducing anxiety and stress levels. As a result, you will enjoy increased productivity and concentration during the day. 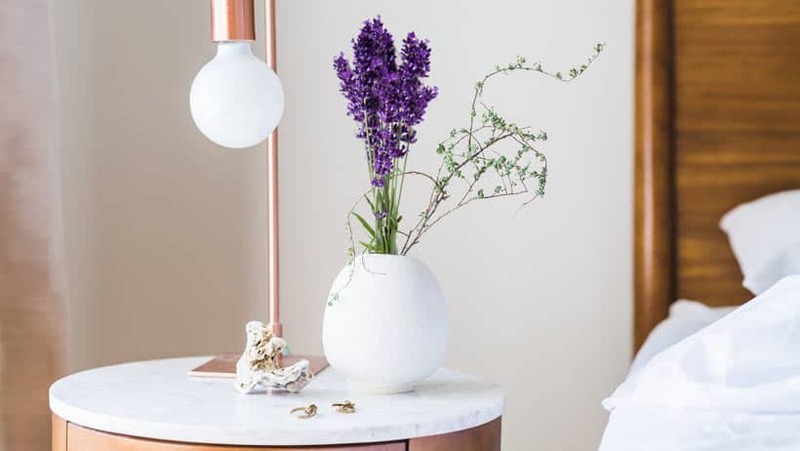 Its elegant ivory or pink blossoms will also complement the other interior decorations in your bedroom thereby creating a holistic relaxing environment. Aloe Vera is ranked among the top air purifying plants by NASA. Just as the Snake Plant discussed earlier, Aloe Vera helps to clean indoor air by emitting oxygen at night and absorbs carbon dioxide. It is also one of the easiest plants to maintain, as it does not require large amounts of water to grow. In addition, it reproduces quickly, and so if you already have one plant, you can replicate it to have a plant for each room in your house. 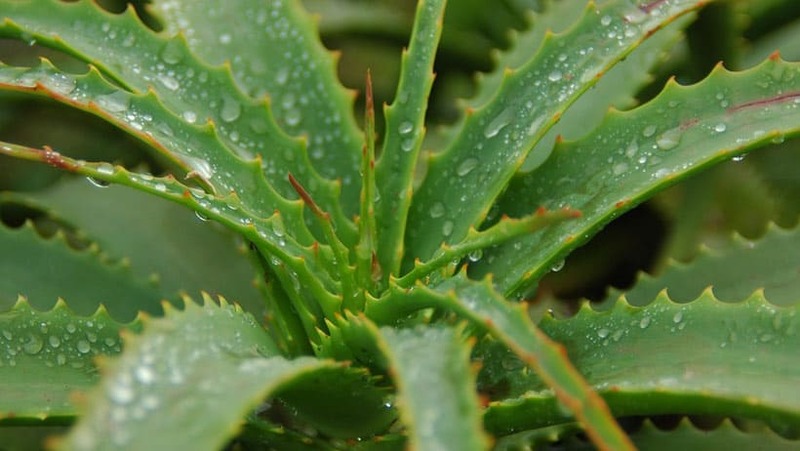 If you happen to bruise yourself or get a cut when doing chores, the gel from the Aloe Vera leaves can help disinfect the wound and fastening the healing process. Spider plant is another excellent indoor air sanitizer that you can use to improve the quality of air in your bedroom for better sleep. According to tests conducted by NASA, it can get rid of up to 90% of toxins including formaldehyde (cancer causing air pollutant). Formaldehyde is one of the ingredients used to make household products such as grouts, adhesives, and filters. 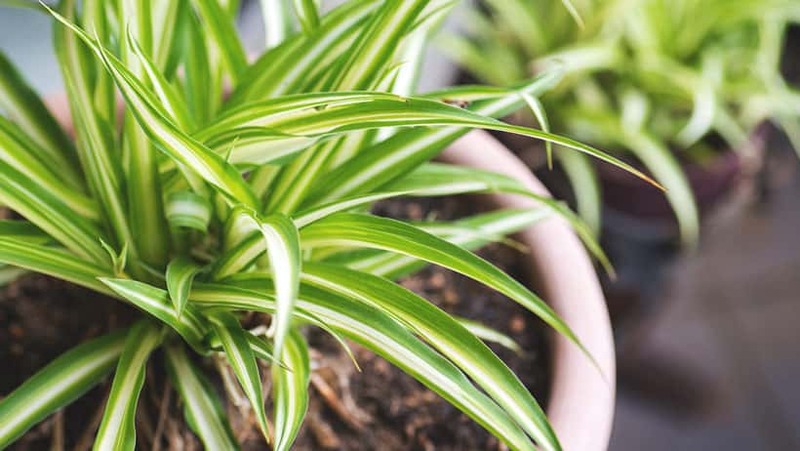 Apart from cleaning the air, Spider plant will also absorb fumes and odors thereby maintain an optimal level of oxygen in your bedroom throughout the night. Asthma and allergies can significantly affect the quality of sleep. The two make it almost impossible to sleep for even an hour uninterrupted. 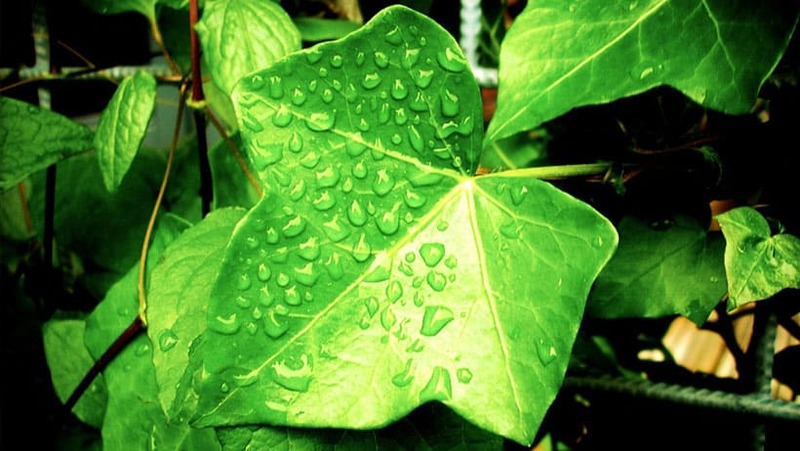 Thankfully, English Ivy leaf can improve the symptoms of both asthma and allergies. According to a study that was conducted by the College of Allergy, Asthma, and Immunology in 2005, this plant successfully removed 78% of airborne molds and 94% of airborne feces in only 12 hours. Therefore, placing this plant in your bedroom will help improve your breathing by getting rid of toxins that affect your breathing while asleep. It blends perfectly with the interior decors when placed on a ledge or hanged in a basket with the leaves trailing down. However, the plant is toxic to some pets and kids, so keep it out of their reach. Valerian has sweetly scented flowers that are either pink or white. Since this a perennial flowering plant, it only blossoms in summer. In the 16th century, the flowers were used as a perfume in particular by the royal families. The root, on the other hand, has been used as a tincture since then. It is documented that, Galen, a famous Roman philosopher, and physician once prescribed it to a patient for insomnia. Recent research studies have proven that Galen prescription was right, as inhaling Valerian’s scent help people who suffer from insomnia to fall asleep much quicker. You can also sprinkle a few petals in your bath water to relax your brain and drift off to slumberland after a long day in the office faster. It is recommended to make sure that it gets 6 hours of sunlight per day to promote its growth. 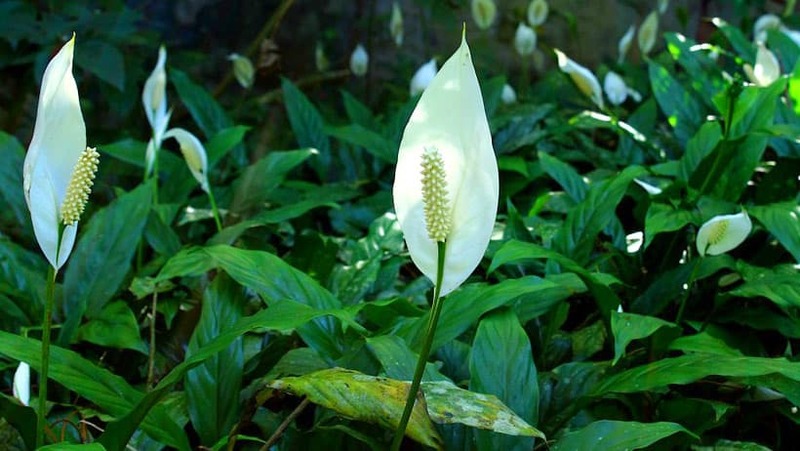 Peace Lily not only looks great but also has superior air purification capabilities. Just like English Ivy, it can help ensure that you inhale clean air while at home by filtering out common air pollutants in homes such as formaldehyde, benzene, and trichloroethylene. The leaves can increase the humidity level in your bedroom by 5% as they continuously release moisture into the atmosphere. This, in turn, suppresses common airborne microbes that cause allergies, as they cannot thrive in highly moist conditions. Water it on a weekly basis and place it in a shady area away from the direct glare of the sun to promote its growth. We would strongly suggest having one or more of these incredible plants in your bedroom. Why go through the hassles of visiting your doctor multiple times per week or spending thousands of dollars on medication if you can achieve the same objective by keeping any of these natural plants in your bedroom? Let us know which one’s your favorite in the comments below.